Creates sharp lines, crisp edges, and smooth shades. Adds a professional touch to any document. Easy to install, clean, and use. 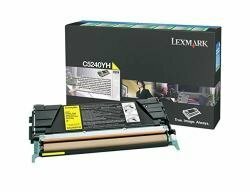 Device Types: Laser Printer; Color(s): Yellow; Page-Yield: 5000; Supply Type: Toner.